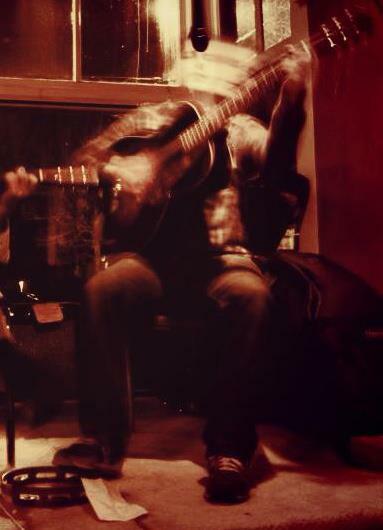 Tate Peterson has been writing, playing, and performing music for over 20 years. Since graduating from the University of Oregon Music School in 2005, he has made a name for himself in Portland as a unique and innovative guitarist, as well as a talented songwriter. He performs in several Portland-based groups including The Resolectrics, Rio Grands, & The Police Cars. His solo work reflects the diverse nature of his musical interests; in one set listeners may hear hints of jazz, folk, country, pop, and classic blues mixed together in a way that listeners of any genre can appreciate. With one foot planted firmly in tradition and respect for his forbears, Peterson continues to blaze a trail forward as he explores new ideas and sounds in the world of American music.